We know how important it is to handle your shredding needs both quickly, professionally and when you want it. We have onetime and ongoing services available for businesses and residents of Needham MA, and we’re here to make sure that your document needs are handled efficiently with our on-site service. Call us for an appointment today! Making an appointment for shredding services in Needham Heights MA couldn’t be easier. Simply give us a call and we’ll walk you through the various options we offer and help you choose the right one for you. Once you’ve chosen the most appropriate service for your needs, we’ll give you a very reasonable quote and set up an appointment for a date that fits into your schedule, Monday – Friday. Everyone wants the confidence of knowing that their files have been securely destroyed, and not simply taken away. With our on-site service, we give you this peace of mind because you can witness it being done. Specifically, we come to your home or business and place your papers in a bin that is immediately locked. Thereafter, the locked bin is taken to the truck, where you can watch your documents shredded on a special screen that can be seen on the side of the vehicle. One-Time Shredding- As a professional organization, you must adhere to multiple privacy regulations; your customers’ personal information, as well as any confidential company data, must be protected even when they are being disposed of. Secure document shredding is the solution you need to be compliant. If you have infrequent shredding needs, simply call us when you need up to set up a shredding appointment. It could be just once or periodically you decide. Scheduled Shredding – Many companies generate private information on paper that needs to be destroyed on a regular basis. If your Needham Heights MA business fits this description, let us help with our scheduled document destructionservice. We will provide you with locked bins and consoles that stay in your office to place private papers in. We can then come empty and shred them on-site on a weekly, biweekly, or monthly basis. Simply choose the schedule that works for you! Identity theft is increasing daily, particularly due to the fact that many people make the mistake of putting confidential documents in the trash. While you can use a personal shredder at home, this could take forever. Instead, save time and hassle by scheduling our residential shredding service to come to your home any day you want Monday through Friday so you can see your personal papers being destroyed. Although you may no longer be using your old hard drive, there are probably hundreds of files still holding your personal information. While you might think that erasing the drive will protect you, be mindful that resourceful thieves can easily obtain personal information even from a hard drive that has been wiped clean. For this reason, your safest choice is to have the hard drive completely destroyed. A1 DATASHRED can take care of this on-site and will even give you a certificate of destruction listing the serial number of each hard drive. When A1 DATASHRED performs on-site shredding, you won’t have to worry about strangers at your door. In fact, all of our employees wear uniforms and carry photo ID badges. Additionally, our employees go through an extensive background check, drug screening, training, and even sign confidentiality agreements, thus protecting our customers and ensuring that your personal documents are properly handled and destroyed. When you hire a shredding company, you want to trust that they will meet and exceed the strictest standards of privacy and security.  A1 DATASHRED is proudly AAA certified with the National Association of Information Destruction. We are also audited regularly to ensure we have the highest possible levels of security and professionalism. Our shredding services have no impact on landfills. With A1 DATASHRED, there’s no need to worry – we recycle everything we destroy. Each ton of recycled shredded paper saves 17 trees, and we’re proud to have zero landfill impact with our document destruction service. Ready to get shredding? Give us a call for your quote today. We are excited to serve you!